We can now use technology in and around the home to simplify our lives, improve safety, and reduce energy costs. 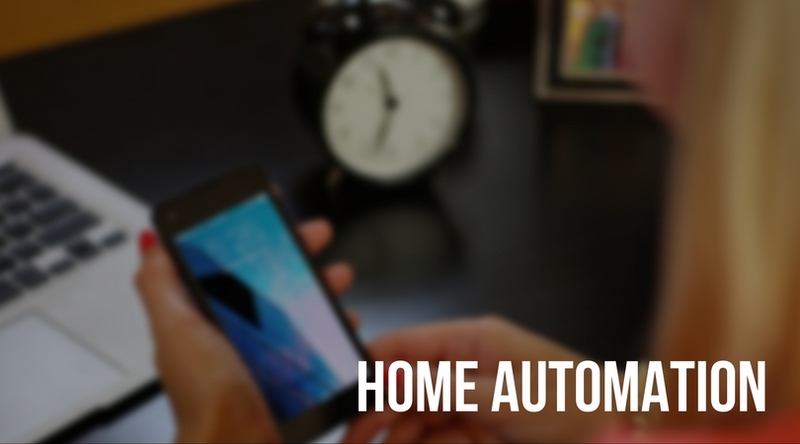 Home automation can be personalized and used to whatever degree of involvement you, as the homeowner, desires. We are lucky to be able to get through the dog days of summer without much discomfort. It’s wonderful to be able to sit through a long business lunch in a suit without breaking a sweat—and to come in from an afternoon of yard work and feel the refreshing blast of air greet us at the door. Or to snuggle into our favorite pajamas and not miss a wink because we didn’t have to wake up feeling like we were baking. 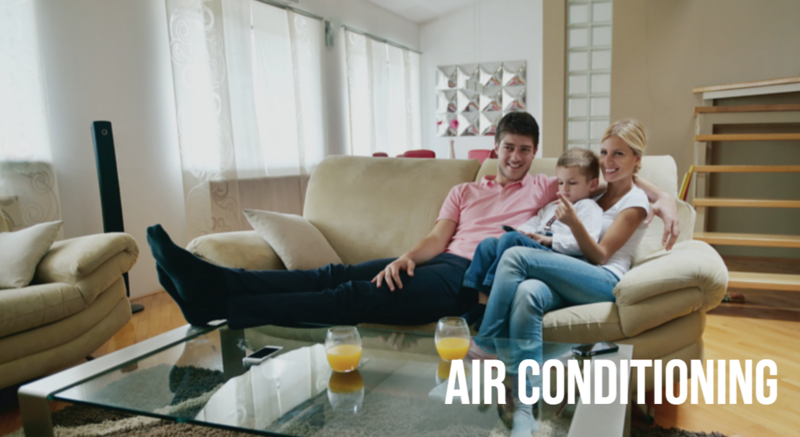 With a home zoned heating and cooling system, you can customize the comfort of each part of your house. 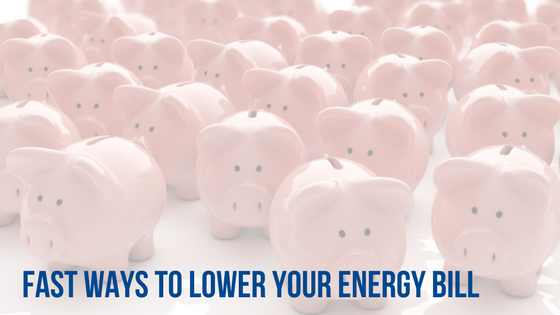 That also means you can cut down on wasted energy, especially in rooms that you barely spend any time in! What is a Home Zone System? A home zone system is a heating and cooling system that divides the house into different zones, just like it sounds. Each zone typically has a separate thermostat to help manage the heating and cooling of that part of the house. Each zone also has electronic dampers in the ductwork which can help control the amount of hot or cold air that is sent to each zone. In order to set up a “zoned home,” you just set each thermostat to the temperature you want for that area, and your system opens or closes the dampers enough to achieve that desired temperature. This way, you are saving money by not over-heating or over-cooling parts of your house that don’t need to be at that temperature. If you’re thinking of your basement, attic, front or back of your house that’s always a different temperature than you’d like – this might be a solution for you! 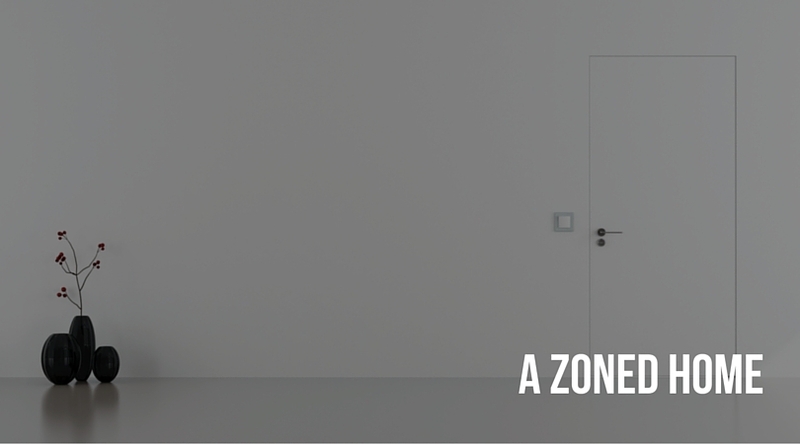 Here are 4 situations when a zoned home might be a solution for you. Multi-story homes. Many people have homes that have an upstairs and a lower level. If you do, you are well aware that hot air rises in the home, and as a result your top floors are going to consistently be warmer than your other levels. If you make each floor a zone, you can better control the temperature across your home, which means saved energy and a more comfortable, even temperature no matter what level you are on! Rooms you don’t often use or spend time in. People with studies, guest rooms, attics, or sometimes even a basement, aren’t always using all the areas of their home on a regular basis. You shouldn’t be paying to cool or heat those areas, just like you are paying to cool or heat areas like the kitchen or your bedroom – areas that you often occupy! When you split your home into zones, you no longer have to spend so much energy to keep those areas at the same temperature as the rest of the house – until you want to. Different preferences on the desired temperature of the house. Do you have that family member who is always cold, or maybe always warmer than everyone else? Or maybe your house is divided – and some people like it cooler, and some people like it a bit warmer. If this sounds familiar, home zoning is one way to keep everyone happy and at the temperature that makes them feel comfortable! Sun or large windows that impact the air in your home. North-facing and south-facing rooms have naturally different temperatures, and if you have high ceiling or windows, this can also impact how your home is naturally being heated or cooled. 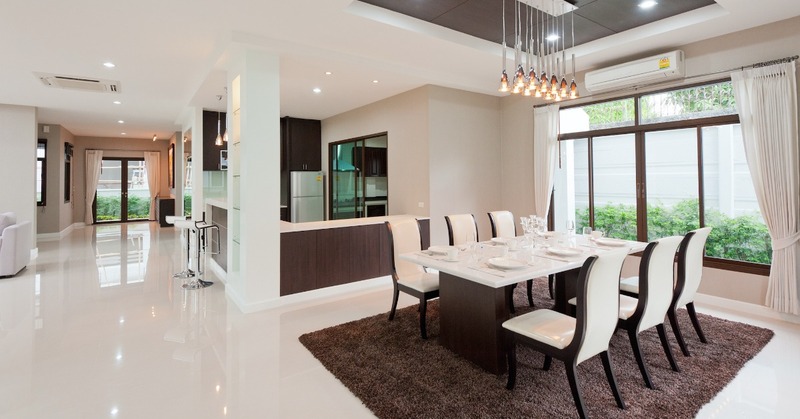 In the past, you may have found that customizing each area of the home would almost be impossible because of these factors. Now, with home zoning , you can have different temperature control zones that give you greater control of your comfort but also reduce your energy consumption. But is home zoning worth the installation cost, including in an existing home? It’s true that home zones are most commonly installed in new construction, or when you are replacing the HVAC units in your home, but remember that they can be cost-effective even as a separate project. Additionally, remember that you comfort can be greatly impacted, which can be worth that investment. Ready to keep every area of your home at the right temperature? Home zone systems come in a variety of costs and configurations. They include an electronic damper installed into the ductwork for each zone, controlled by a thermostat located in the zone, and wired through a central control panel. Generally speaking, some also include redesigning of the ductwork layout to improve your zone efficiency, and more advanced devices to balance the air pressure in the ducts and for other improvements to the process. In a large home, or in some cases, in historic/older homes where comfort throughout the house is hard to achieve, two separate heating and cooling systems can be installed to further increase efficiency. By having the experts at Greater Comfort take a look at your home, we can help you find the solution that can give you greater control over the temperature in your home. Want to learn more? Give the experts at Greater Comfort a call today at 859-491-4915. What are some of the top signs your AC is broken or may need a repair of some kind? Here we break down 5 things you shouldn’t ignore as we head into spring. 1. Your unit is cycling on and off. Depending on the system, if your unit is always cycling on and off – especially if you can’t ever seem to see the thermostat showing you’re at the desired temperature for your home – it’s time to have a professional check your thermostat and your system. 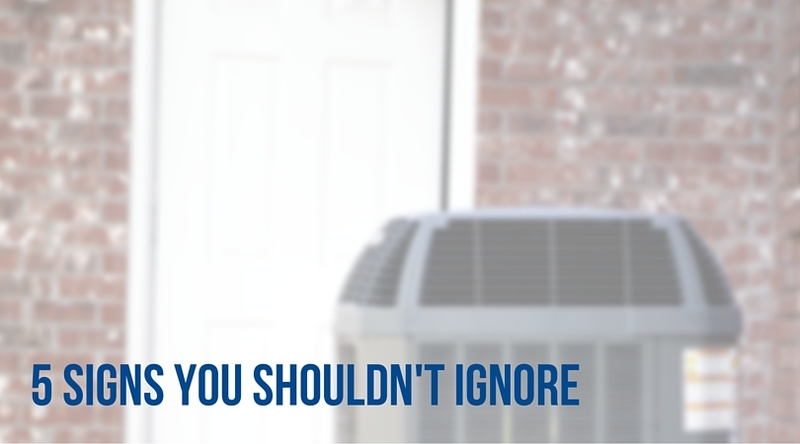 There’s a chance you may need the fan, condenser, or possibly the evaporator unit cleaned, and there could be another issue worth a look for an expert. 2. There’s water near your system. If you see water near your HVAC or have reason to believe that water is leaking near your system, you could have a serious issue with the drain line, or another problem that is worth looking into. While it might start off as a small leak, if you catch it early, you could avoid a big problem since some leaks can result in significant water damage to your home. While the source of the problem could be the drain line, an expert can help you see if its clogged, disconnected, if the issue is related to the condensate pump, a clogged air filter, low refrigerant, or a ductwork issue. As you can see, there’s quite a few reasons that mean you should take any signs of water leakage seriously. 3. Your utility bills have skyrocketed – with no reason known to you. If you’re like many homeowners, you watch your utility bill, in part because you want to be able to ensure you are saving money when possible. Keeping a watch on your utility bill is also a great idea because any spike in your costs can be a sign that your system is operating inefficiently. Whether you forgot your spring tune-up or your condensing coil is having an issue, or something completely separate, we can find the reason your system isn’t working properly. 4. You’re hearing abnormal noises. If you’re system is running as it should, sound should be minimal. In fact, in our newest models, many people are surprised just how quiet and efficient the models really are – during startup and throughout day-to-day operation. If your system is making noises—especially loud noises you’ve never heard before—there could be an issue. If you have disconnected parts or a motor that’s showing signs of wear, it could be reason to give us a call. 5. There seems to be a lack of fresh air or just a more uncomfortable home. If you feel like you’re just not quite as comfortable as you once were, make note. When the temperature increases, so does the humidity in your home. That same humidity can cause damage to your furniture and encourage mold growth in your home. Altogether, increased temperatures and decreased air quality can be felt in the home if your system isn’t working like it should be. But year-to-year, even if there is a difference in how hot it gets outside, you should still have even, consistent airflow. Remember that excess humidity wears on wood furniture in particular and can do damage to upholstery, especially on certain kinds of furniture, including vintage furniture, that has not been treated to handle it. Another major problem when the humidity rises is mold growth. Mold needs a moist environment to grow, and while humidity alone is not always enough, these conditions make it nearly impossible for bathrooms to properly dry. If you feel like the air in your home is thicker than normal, or you see signs of mold growth, then you have more evidence your system isn’t working properly. We install top-op-of-the line HVAC systems, dehumidifiers and we provide a full range of ongoing maintenance services. We are on-call 24/7 for emergency repairs if you ever need them. Give us a call today at 859-491-4915. What are the advantages of a ductless system over a forced air system? Recall that just as it sounds, rather than having ducts that run throughout your entire home, ductless systems give you zoned cooling and heating. We setup units that are strategically installed to optimize cooling and heating efforts with efficiency and control. Ductless mini-split systems can also be used in single zone or multi-zone applications. Besides being attractive and quiet, systems can be built based on your needs and your home’s layout. A ductless cooling and heating system helps you save money, stay comfortable, and even be healthier as a family. Read on to see the other benefits of being able to customize your home temperature to your exact needs. We might call it efficiency, but as a home owner, that equates to saving money! You already know how your cooling & heating is responsible for more than half of your energy bill each year. Because a ductless system can help you save up to 30 percent of your energy costs, you have huge potential for savings. While it might no be the major reason you decide to go ductless, it’s still good to know: ask us about our systems that are as much as 40 percent more efficient than window units. Ductless means you can target the areas you want hotter or cooler, meaning you really do have more control over all aspects of your system. Largely considered one of the most eco-friendly systems you can adopt today, this means you can stay comfortable, cool, and still do your part for the environment. Not only are ductless systems easy to install, but they are easy to maintain. Filters can also last up to 10 years so that means you won’t have to replace them very often. Filters for a ductless system are easy to remove and you can typically even rinse them in the sink to clean. Say goodbye to indoor air-caused allergies! We’ve talked before about the dust, pollen, bacteria and stale air within the home that can do harm to your family’s health. A ductless system is able to purify the air and remove these pollutants. Consider how a split-ductless provides you with temperature control in the rooms your family uses most. Or, look at it the opposite way: you no longer have to waste energy cooling or heating the rooms that you don’t spend a lot of time in. Combine efficiency, targeting capabilities, and flexibility and you get a comfortable family! A ductless system clearly has many benefits over a conventional system. Ask us for more information if you’d like to compare costs and see what your optimal options are. When it comes to air purification and filtration, modern filtration systems work to purify your air. That’s both maintenance, and preventative in nature. Air filtration also works to “undo” the fact that the average house has a build-up of contaminants. That’s because we can have excess moisture in our homes, or we can have heating and cooling systems that end up circulating dust and bacteria in the home. Many of us have pets that contribute to poorer air quality, and smoking also adds toxins into the air we are breathing. When we open doors or even windows, pollen and other allergens are then introduced and “trapped” inside the home. Ask any homeowner if they want clean and healthy air, and not surprisingly, you will hear, “Yes!” Here are 4 types of air purification to know about for your home. Ionizing purifiers use corona discharge to create molecules that are called ions. Molecules that pass through this electric field are ionized. When a particle in the air is charged, it will then attract to something of the opposite charge. The purifier then works to attract the particles, causing them to cluster together and settle out of the air. Adsorbent material can be found in many air purifiers; the process is what it sounds like, helping to get rid of fumes, chemicals or odors we have in the air. Adsorption, not to be confused with absorption, is where one substance is trapped on the surface of another. In this way, substances can be separated. UV light is a part of some air purifiers. The UV light makes certain microorganism sterile, eliminating certain airborne virus and bacteria in the process. Air cleaners are filters that simply work by passing air through a filter to remove particles. This works to remove particles from the air and it also prevents damage or lack of efficiency in the furnace. Just like there are many air purifiers, there are many subcategories of air filters. A catechin filter is a filter that many people are interested in, and it works to ensure the air in your home (or building) is just that: clean, fresh, and as healthy for you as possible. The upside to it all is that the catechin filter doesn’t require the maintenance that filters did in years past. Catechin pre-filtration starts as a large pre-filter collects odors that exist in your home. What also comes during so-called pre-filtration is the inactivation of viruses and bacteria in your home. That’s where the word “catechin” comes from. The pre-filter contains catechin, which is an element found in green tea that acts as an antibacterial and also a deodorizer. People like to call this filtering method natural air filtration. Not only is it natural, the filters are easy to remove and they are long-lasting. Filters can actually be quite complex, and this is just one sub-category. Keep in mind there are also filters designed for odor removal, such as Platinum Deodorizing filters. Remember that maintenance of any filter is required, and an integral part in the process of working to get the cleanest and purest possible indoor air. Did you know that indoor air pollution is one of the top five environmental health risks we have in the US? (Source: EPA.) 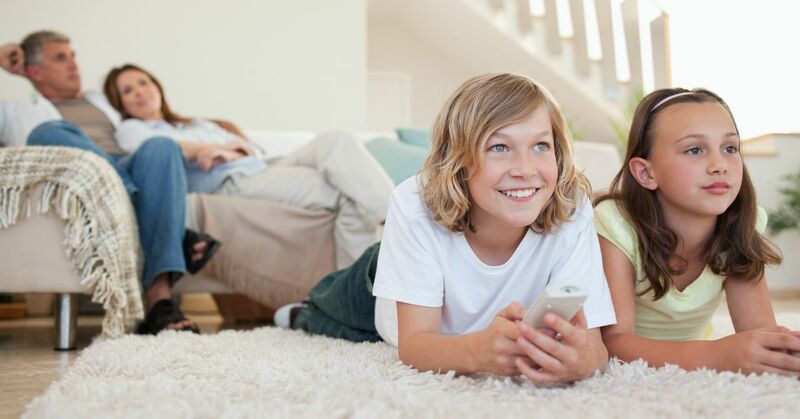 Since most of us spend 90 percent of our time indoors, the good news is that we can do something about it thanks to air cleaners/purifiers and advanced filters we have available. Ask us about air filtration or purification that can help you fight to minimize your allergies, no matter the season. Did you know nearly 7 in 10 home buyers are willing to pay much for a home with central air conditioning than a home without? For many, a heating & cooling system is an extremely influential factor when deciding to buy a home. 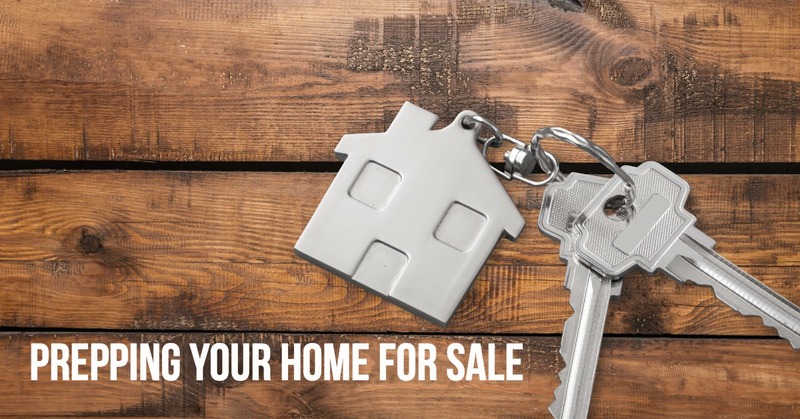 If you’re thinking about selling your home at any time in the future, here are some tips to keep top of mind as you continue to take care of your home. When ensuring your home is in its optimal condition for selling, you want to be sure you have a programmable thermostat that lets you keep the house at a higher temperature when you are not home–and then cooler again during the hours you are consistently home. For central units, this is something new home owners will want to see today. One of the “easiest” ways you can make sure you are maintaining an efficient home is to examine the way air is being sealed and your current home insulation. Also keep in mind that sometimes old insulation can be a problem, and may need to be replaced (moisture over time, etc.). Having signs of outdated or under-insulated areas of your home could be a negative signal to people looking at your home, even if it is easy to replace and/or remove. Time and time again we see improvements that can greatly improve your insulation in your home! Additionally, many times adding the right kind of insulation before replacing an AC unit means you can help that unit perform more efficiently, which means more cost savings passed along to you in the meantime. Of course you want to find the optimal mix between filtration and energy costs associated with pull the air through your filters, and you also want to make sure you are replacing your air filters as consistently as possible before putting your house on the market. Typically you want to install a new filter every month during the cooling season (but ask us if you have any questions on that general guideline.) Remember that your AC’s efficiency is highly dependent on your filters. You can see the MERV of your filter to see how well your air is being filtered at any given time. It seems like an obvious one, but be sure not to neglect any airflow leaks in the home. Remember that AC units can be tricky to seal properly, but the difference it makes can be substantial. Ask us if you need help to examining the airflow in your home. A general rule of thumb is that homes that have more modern, efficient cooling and heating systems are going to be easier to sell, and people will pay more for a more modern system. As ductless systems continue to become more and more popular, people are becoming more aware of the health and comfort benefit of an efficient system. We are here to help if you have any questions or you think that your home could benefit from an upgrade. We can help you weigh the benefits and the estimated costs you will be able to add-in when selling your home. Regular maintenance of your home heating, ventilation and air conditioning system is critical for its long life, and it will pay off when you sell your home. Yes, it can prevent breakdowns, but it can also save you money in the meantime. Not only will you make sure you are complying with your warranty, when applicable, but you won’t regret the effort you put into your home now as you prepare it for a future sale. Do you have a room in your home that seems to always be much hotter (or much cooler) than the rest of the rooms? Is it a room that isn’t often occupied, whether intentionally or unintentionally that way? Maybe it’s a room that you also suspect is increasing your energy bill, even if it seems like a lost cause to try to evenly cool or heat the room to match the temperature of the rest of the house! If you have one of these rooms in your house—whether it be a guest room or one you don’t even feel like you can fully utilize—it might be time to consider a ductless system. What’s a ductless heating and cooling system? Ductless systems are a great way to control the temperature of a single room, and they also allow you to reduce energy costs at the same time. A ductless cooling and heating system has an indoor unit that is mounted either on a wall or ceiling. It also has an outdoor unit that houses your condenser. Combined, the system is connected by a conduit—instead of any ductwork, and hence the name. This means you are getting heating and cooling from one system, which is why you will hear that the systems are easier to install. That also plays a part into why they are more efficient than window ACs or space heaters, which people often turn to for those pesky single rooms that always are too hot or too cool. Another benefit is that they take up very little space being that they have no ductwork. Besides better dealing with single-room solutions, what are the other conditions in which a ductless heating and cooling system might be a fit for your home? 1. You are looking for monthly savings. Because ductless systems are very efficient, one of the major motivations for people is the monthly savings. Ask us more about your specific home and expected cost savings each month. 2. You are looking for cleaner and all around healthier air. Not only do you get ideal comfort in all months of the year, but a ductless system means air purifying filters and works consistently to get rid of stale air, circulating fresh air in the process. Who wouldn’t want a multi-stage filtration that reduces dust, bacteria, pollen, allergens and more in the air? 3. You have electric heat currently. Ready to replace your inefficient electric baseboard, wall and ceiling heat, electric furnace, or other space heaters? We thought so. We can also work with you to figure out what is best for you, which may mean supplementing your current setup. 4. You have had, or plan to have, a remodel or new addition to your home. When you add to a building or your home, in many cases, adding to the existing ductwork or pipes in a home can be costly—or worse yet—it can be inefficient in the long-run. Ask us if a ductless system would be a more effective and less costly option for your add-on. If you are building a new home, there are even more possibilities. It’s clear that ductless means even, year-round comfort in your home. Remember that one of the biggest reasons ductless cooling and heating systems have gotten so popular is due to how ductless systems take less power, meaning the efficiency is passed on to the homeowners as cost-savings. If you are ready for quiet and even air in your home and want to talk more about ductless heating and cooling systems, as well as opportunities for tax credits and rebates if you install a ductless system, let us know today.